Can I make a suggestion and you in form your telephone support staff about this issue. All I had to do was jump gate way and everything was fine. Use this to see what gateway you are on http://usertools.plus.net/@gateway/ disconnect and reconnect through your routers interface. I'm a new member here and just noticed the , and just started with plusnet. 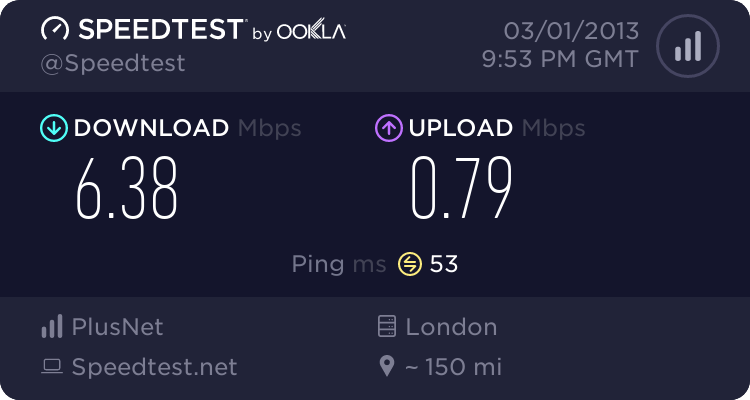 I'm on gateway pcl-ag08 and thought I'd add that I've noticed the latency problem on that gateway, and similar to MsDizzie, improved later on though at around 8:50 or so. I had a problem on that gateway until I switched. 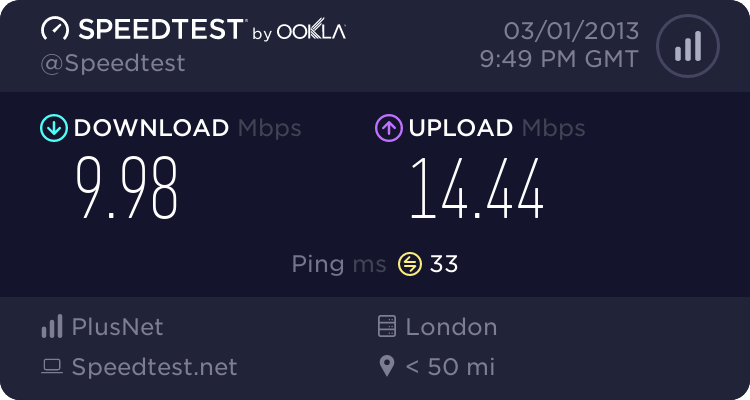 Upgraded to FTTC this week as I thought it was my ADSL slowing down in the evenings. On Wednesday I was the only customer on our cabinet. However, another evening with iPlayer unwatchable and websites not loading. I was on ptn-ag02 getting pings to www.plus.net of between 28ms and 107ms. Reconnected to ptw-ag03 and now steady pings of 28-30ms, and websites are loading again. For me ptn-ag02 is still good - slight latency problem but I have a 10ms ping and 72+Mb download on Speedtest.net so this gateway for me is still performing well. MsDizzie I've done so as ell, I''m on gateway ptn-ag03, and is at least more reasonable. gateway pcl-ag07 - how do you change gateway? As far as I can tell, log in to your router, click reboot and cross your fingers that you get a different one. My speeds have dropped off quite a lot now, just in time for my Halo sesh . Ping is four times what it was earlier and download speed is a sixth of what it was. Upload speeds have remained pretty consistent. Been on pcl-ag02 all throughout. You log into your modem/router or router if Fibre and go to the Internet Box and use the Disconnect button. Wait about 30seconds and then click Connect. Don't forget to check which Gateway you were on and are then on so you can report the results. Speed normal every time I've checked so far tonight. Pings better than last night, a lot less variability.